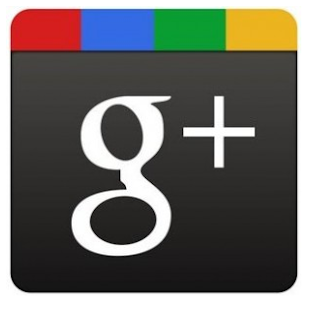 RogerBlazic.com: Google+ Is Open To The Public. Who Cares? Google+ Is Open To The Public. Who Cares? Google+ are you ready to take the plunge? Could the next big thing on the Internet finally have come? In the land of G, they sure think so. After all the hype, all the wait, all the anticipation, Google+ is open to the public. Who cares? During the "Invitation Only" phase of Google+ it had peaked at about 5,300,000 users. When it opened to the public, over 15,000,000 people signed up and started looking around. But like those of us that have been around since the early test phase, they didn't see too much. Unlike Facebook, where you can open an account, get a friend or two, sit there and things are there to look at; Google+ is a screen with basically nothing. With both social networks, you really have to start accumulating friends before the screen gets interesting. In Google+ they have a thing called Circles - another term for Groups. You put people in circles. Then you can choose what information you share with which circle. You can share content with a single circle or with all of your circles. So far, I have two circle - Family and Acquaintances - the latter could really be called Strangers. Only a couple of my friends on Facebook have added the + to their screen time. Like any new network, it will take time to build. However, Google+ just seems so stark that I wonder if anyone will really want to take the time to return and build up their followings and share content, especially if they are active on another network like Facebook or MySpace. There are only so many hours in a day. In the book Positioning: The Battle for Your Mind by Al Ries and Jack Trout, a marketing classic, they explain that the way to win is to be the "firstest with the mostest." Whoever is first and puts the most out there, they usually take slot number one in consumer's minds and hold it for a long, long time. MySpace was the first widely used social network, however, Facebook came along with a better mousetrap. It was easier to interact with people you didn't know on Facebook, network, make new friends and see a lot of interesting content. MySpace is just a glorified chat room. If you had a slew of friends you actually knew, you could chat and share pictures and videos with each other. But if you didn't really know anyone, you spent a lot of time customizing your profile page and doing nothing else. Google+ lacks a lot of the interactivity that Facebook has. LinkedIN, while lacking the social element of Facebook, allows for interaction through groups and their stream. Google+ has the stream of content shared by those that you have on your acquaintance list, but if they don't put you in one of their circles, then you might be sharing your content with yourself. Time will tell how Google+ can fit into the average person's daily online activity. The problem they face now is that a lot of people might come, look, wonder what to do and leave - never to return. When you do that by the millions, that is not a great launch. What Google+ might have going for them is a potential implosion by Facebook. FB developers surprised their 800 million users with an unannounced change to the News Feed a week ago, which no one was happy about. There are a number of changes coming in November or December that will radically change the profile and how your content is organized. If the changes are not user friendly or provide a real benefit to Facebook users, there could be an exodus for someplace less complicated or confusing and Google+ could be the port of refuge. Right now, Google+ is open to the public and a lot of us are asking, "Who Cares?"